In the previous post, we explored the 3D printed car project by the German company, EDAG GmbH. Today, let us move to another project to create 3D printed shoes. Yes, a complete 3D printed shoes that you can simply print using desktop 3D printer even before your next Nike shoes reach doorsteps. 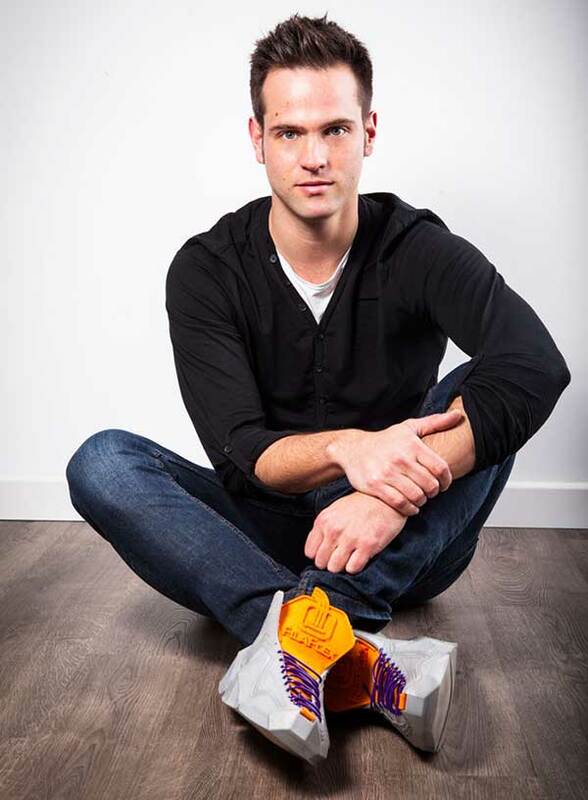 The 3D printed shoes project is created by the Spanish filament producer, Recreus, as part of their implementation to the new Filaflex flexible filament. The filament is one type of the materials that are used in 3D printing, check What Are the Types of 3D Printing Technologies? The new filament is capable to produce flexible plastic model that can be use in footwear or clothes. The only problem with the new filament that it wasn’t sticking to the printed. So, the guys in the company spent the last few months working to solve this problem and provide a 1.75 mm filament that can be used to create a flexible 3D printed shoes. The solution was using a combination of PLA and FilaFlex to provide good balance between flexibility and the solidity of the printed model. In order to achieve this 3D printed flexibility, you need to add a special extruder while using the Filaflex filament or you can use Recreus special extruder and hot end parts. The hot end helps the filament to pass with through 0.4 nozzle. The video below shows the shoe 3D printing process using the Filaflex filament and using the extruder created by Recreus company. The 3D shoes design looks like a basic model and need further research in the design itself and how to follow the footwear design standards in order to compete with similar products in the market such as Nike or Adidas stores. However, the initiative opens the door to further investigations and design on this track in order to reach a professional product design process for footwear and not only shoes. The following photos show the 3D printed shoes in action. 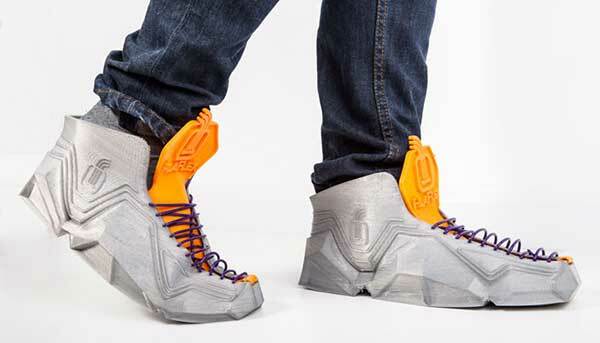 The question now is would you wear those 3D printed shoes in your daily activities? And what do you think about the new technology?